If you are thinking of buying a gift for a beer lover, well then you are in luck as they are simple to shop for. Other than giving them a bottle of beer, there are other thoughtful gifts you could consider; the following top twelve gift ideas for beer lovers should help you pick the appropriate one. The steel bottle holder is brilliantly designed in a manner it allows the new owner to transport six delicious brews with style and ease carefully. The steel holder has a wooden handle and a very solid stainless steel frame assuring your beers will remain upright and steady in your car. It is about time you take your bar game to the next level; serve your drinks in graphic beer glasses that feature your favorite Marvel hero. 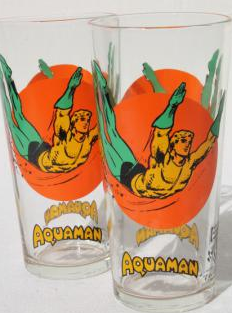 It is a perfect glass, especially for an evening with your boys, but it is not recommended for first dates. 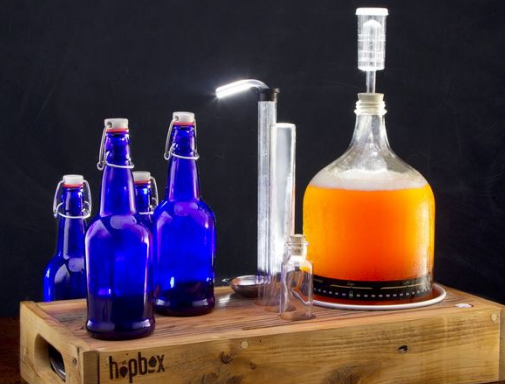 If your friend loves his beer, this could also be a good gift as they can now make their own. You could try to purchase the King’s Blockhouse IPA, as it is pale with the roots of the 19th century England. It is a well-balanced citrus flavored IPA making it a suitable gift. You should get the party started well; the beer pong party package will do exactly this. A beer pong is a great game having different versions of the rules. Just to make it a little special, the kit comes with its interpretation of the set rules just to give your party a needed edge. The glass has been designed in a manner that makes it perfect for the King’s Backhouse IPA. The glass has a bowl shape that concentrates and keeps the aroma towards your mouth. Thus, it creates a very thick head allowing the bubbles to escape. We have all been in this situation before, riding from the liquor store to either a party or your apartment having your six-pack. It is an impossible task; this is where the leather six-pack caddy comes in handy. It has been made from full grain leather that is securely fastened to the top tube offering you a secure and hands-free way of delivering your six-pack. 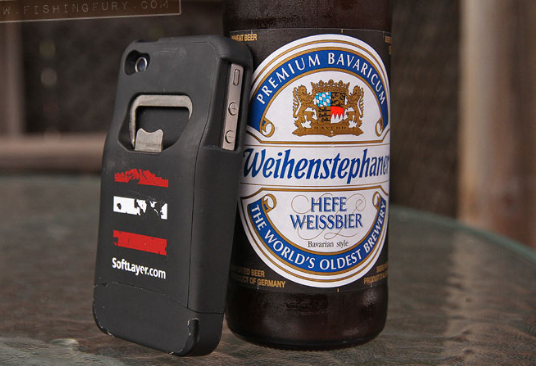 As a beer lover, the most frustrating thing is being stuck without an opener, but this is the solution you have been waiting for, you can pop the tops of the beer with your iPhone. It is a stainless steel opener designed into your iPhone case; it offers you stability and strength as it protects your phone while you are opening your beer bottle. It is time to keep your libations frosty; this is from your first sip to the last. The designers of the hydro flask are a big fan of beer, which is why they paid special attention to the detail of the container to ensure you enjoy all that you have come to expect from your glass pint, together with a reliable temperature control. The folks at Jelly Belly have gone a step further; by taking your favorite flavor of the draft beer and turning it into a jellybean. All this has been done to ensure you enjoy that authentic taste of fresh draft beer without having alcohol. The cufflinks will make your man the envy of every person present at the party. Try to picture this; your man is at a party, wake or even a wedding and someone offers a bottle of Devil’s Peaks excellent microbrews. As other people are busy shuffling about looking for a bottle opener, your well-dressed man quickly cracks open the bottle with the cufflinks opener. Don’t you just love it when people take that initiative in solving world’s problems, which is exactly what the folks that make the beer soap have done. 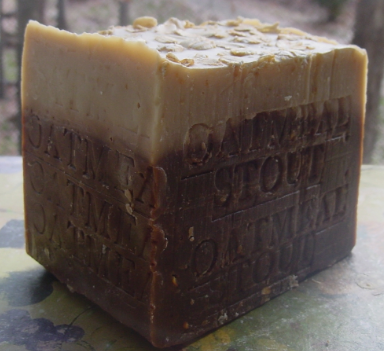 The first issue we had was finding the right soap that did not make sensitive skin flaky; now they have moved to make a block of soap that smelt as if it was straight from the nectar of the gods, the beer. 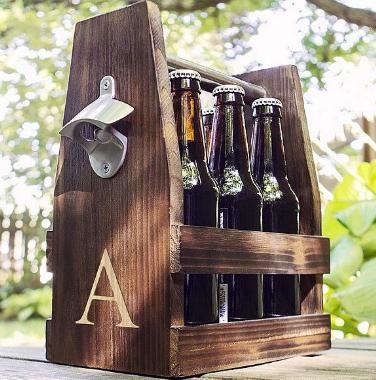 The exquisite beer briefcase is designed with the look of a metal briefcase in mind; it has combination locks to prevent any unwanted drinking. Inside the briefcase is a piece of foam that has been designed to accept six bottles of your favorite drink. Additionally, extra foam at the top to ensure your bottles are kept still.